Kahneman is the shrink. Funny thing is, he won the Nobel not in psychology, but in economic sciences. People describe Dr. Kahneman as “One of the greatest psychologists and deepest thinkers of our time” . . . “An intellectual giant” . . . “Among the most influential psychologists in history and certainly the most important psychologist alive today.” His latest book, Thinking Fast and Slow, is a bestseller. And it’s worth your thirty bucks. Scattered through the 500 pages you’ll find big surprises about you. 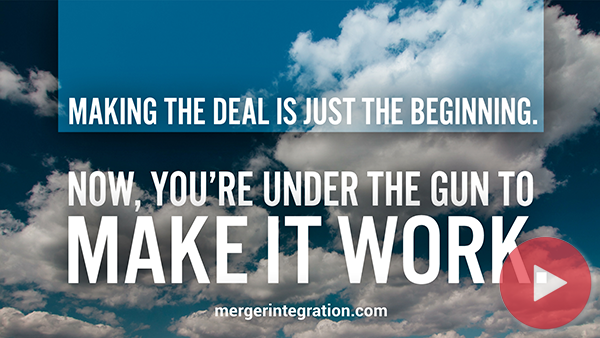 Many of these insights also will help you understand why people act the way they do during merger integration.